Dypsis angustifolia showing the stems and clumping habit. 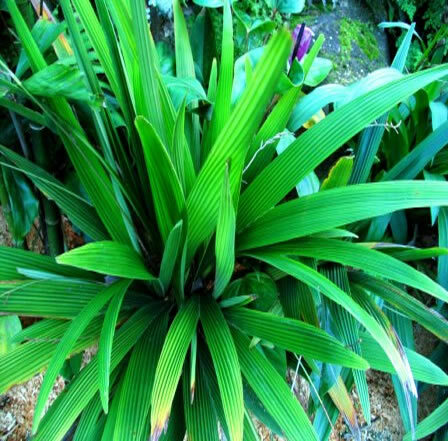 This is the true form with thin entire bifid leaves, which the species was named after, that always has a green new leaf that I have seen on this form. This species has an inflorescence simular to that of some of the Calyptrocalyx being that it can have up to what looks like 4 sperate peduncle/rachilla emerging from behind each leaf sheath which are joined at the base of the inflorescence (see photo), like what is seen in some of the calyptrocalyx species. It's a very easy species to grow and has quite thick leaves so it would probably tolerate colder conditions than it receives here with temps down to 2 to 3C, and still looks like it is actively growing in our winter months, this plant is quite old so they do not take up much room and could be grown as an indoor potted plant for most of it's life in the right conditions with out any problems, much like a Chamaedorea palm.